Nauman Alam Siddiqui is working as Assistant Professor in Metallurgy and Materials Science Engineering Department, University of the Punjab since 2014. Prior to coming PU, he had been serving in ministry of defense, NESCOM, Air Weapons Complex, Islamabad for the last five (05) years. Nauman had completed his B.Sc Engineering in Metallurgy and Materials Science from Punjab University in 2007 and Master Engineering Degree from U.E.T Lahore in 2009. He has working experience in Failure Analysis of Aerospace components, Mechanical testing of materials, Structural qualification testing, Welding of materials and corrosion study and Hydrophobic materials. He has currently involved in teaching B.Sc Engineering students and research projects. 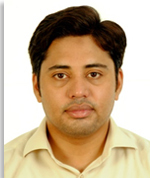 His research work has also been published in international impact factor journal. B.Sc. (Engg.) Metallurgy and Materials Engineering, P.E. Failure investigation of wheel gear hub assembly of an aircraft. Engineering Failure Analysis, Volume 22, June 2012, Pages 73-82. Investigating the Failure of Bevel Gears in an Aircraft Engine. Case studies in Engineering Failure Analysis, Volume 1, Issue 1, January 2013, Pages 24–31. Diagnosing the Cause of Dynamic Compression plate premature failure. Engineering Failure Analysis, Volume 34, December 2013, Pages 350–357.